It's November 1952 and a fierce storm has hit the Scottish Borders. The Signalman at Fountainhall Junction dutifully tries to keep the trains running to the best of his ability, struggling against the brunt of the storm. It's going to be a long twelve-hour shift, not helped by the loss of electric lighting and falling trees. 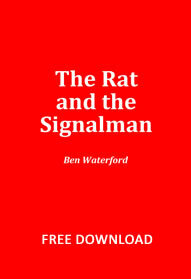 A wild brown rat has become a regular visitor to the signal-box and gives Donald Campbell some fleeting company. Neither Donald nor the rat could imagine what fate would await them tonight. A dramatic short story based on a fictional day in the life of a railway signalman. Suitable for all ages.